Be sure to register or log in to earn points for interacting with our community! On Gear Live: Geared Up: Apple cancels AirPower, Top 5 HomeKit Smart Devices! In this edition of EndScore Report, we handicap each NFL game for Week 3. There are some interesting games to look out for, such as the close-lined Atlanta Falcons visiting the Tampa Bay Buccaneers. Also, how will the presence of Michael Vick affect the game between his Philadelphia Eagles and the New York Giants? Give this prediction podcast a LISTEN and get your winners! The basketball gods finally showed mercy to the Cleveland Cavaliers who ended their consecutive game losing streak at 26. They beat the Los Angeles Clippers 126-119 in overtime. It was a controversial victory as the Clippers' Baron Davis went in for a seemingly game-winning lay-up that was blocked by the Cavs' J.J. Hickson, but no goal-tending call was made. It was the Cavs' first win since December 18, 2010 and only their second win in their last 38 games. 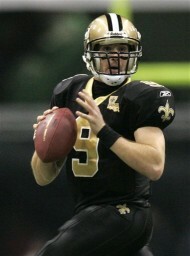 They remain tied for most consecutive losses by a professional sports franchise with football's Tampa Bay Buccaneers. The Cleveland Cavaliers lost their 26th straight game against the Detroit Pistons, adding to their already NBA record of futility for consecutive losses in a season. With the loss they also tied the Tampa Bay Buccaneers for most consecutive losses in professional sports history. It's an understatement to say that things are not going well in Cleveland. It's obvious that a lot of this stems from the defection of LeBron James to the Miami Heat during the offseason, but how quickly a 60+ wins team in the previous two seasons to what they are now… on the path to owning the highest chance of winning the next NBA Draft Lottery. Another loss and the Cavs will historically be the worst ever. The NFL is back! The 2008 season is ready to get into full-swing and if you need to know what time it is and what to expect, check out this preview primer for all you need to know about every team in the NFL! 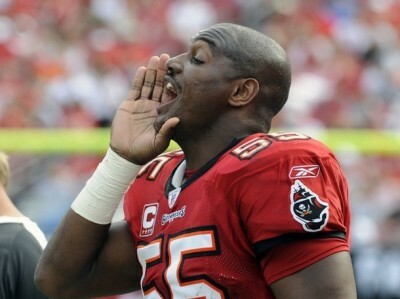 Overview: The Tampa Bay Buccaneers were the only team to finish above .500 in the NFC South. After a tough loss to the eventual Super Bowl champion New York Giants, the Bucs go into the ‘08 season with the hopes of repeating as division champs (a feat that has not been done is six seasons). The ‘07 campaign saw the group of savvy veterans overachieve. They went 9-7, with a beat up backfield and one playmaker in the aerial attack. The NFL season is upon us and what better way to get into the mood for some pigskin than to read some NFL Team Previews brought to you by the writers of Gear Live’s upcoming blog dedicated solely to FOOTBALL!!! Keep an eye out for it! But, for now, check out what Dean Browski (AFC South, NFC East), Charles Mitri (NFC North), and Scott Sargent (AFC North) have to say about the upcoming season! In the next few days, you’ll be able to read the wisdom of Raymond Leon (AFC West), Kevin Moore (NFC South), Juan Ruiz (NFC West), and myself (AFC East)! So, come on back! Valentine’s Day Giveaway: Jawbone Mini Jambox & Pair of iPhone cases! Check out the Gear Live Touls that let you integrate Gear Live into your site. You can buy advertising on Gear Live through our advertising partner Federated Media. New! Get Gear Live hats, shirts, hoodies and more at the new GearLive Store, coming soon. © Gear Live Media, LLC. 2007 – User-posted content, unless source is quoted, is licensed under a Creative Commons Public Domain License. Gear Live graphics, logos, designs, page headers, button icons, videos, articles, blogs, forums, scripts and other service names are the trademarks of Gear Live Inc. Geared Up: Apple cancels AirPower, Top 5 HomeKit Smart Devices! Third annual Winter Classic to be held at Fenway? What to bring to Seattle Mind Camp? All the things!